Create beautiful beads from polymer clay by mastering different techniques. Introductory sections on clays, tools and techniques. 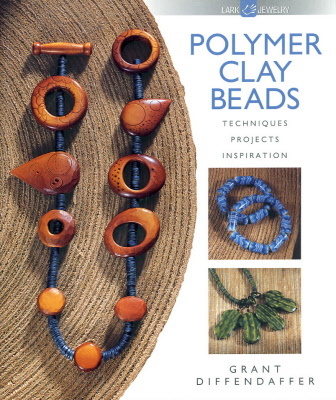 This book starts with basics then introduces advanced clay techniques to produce unique decorative beads. 144 pages. Colour photography thoughout. Step-by-step illustrated instructions reveal the secrets of producing beads using a large variety of techniques. Learn to make hand-formed, pearlised mica-clay, textured lathe-turned and moulded beads.